We understand the value of families being able to spend time with their loved ones after their death and before burial or cremation takes place. Our New Care and Cremation Center allows families to be present during the beginning of the mourning process. In our experience, to be with our loved ones, to participate in their final care, is one of the most precious last gifts we can do for them. Families have told us they find this time to be a very healing and a sacred experience. 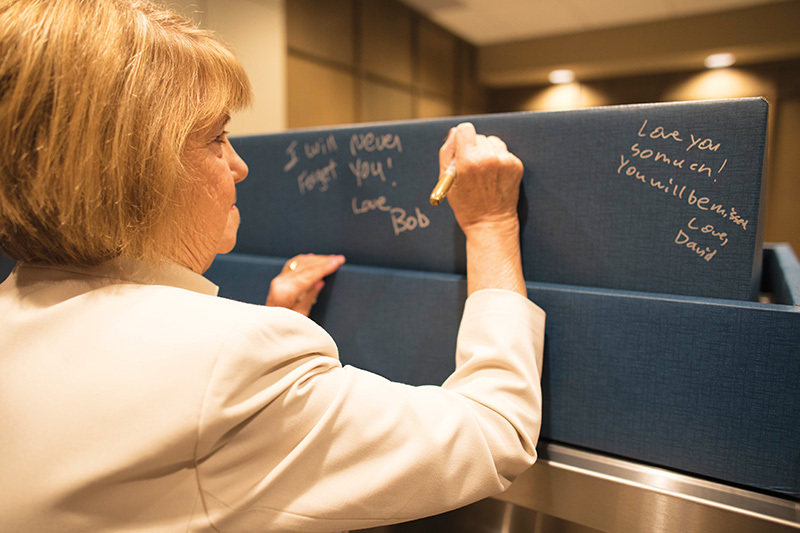 At our Care and Cremation Center we provide comfortable and intimate rooms that families tell us they appreciate for their final goodbyes before events such as funerals, gravesides, memorial gatherings and chapel services. They also realize the need to spend additional time with their loved one. They know that this helps them to accept the reality of the death and to attend to the individual needs of their family members. With this concept in mind, we designed our fourth Baue facility, located in in the heart of St. Charles County in St. Peters, Missouri. It is easily accessible and convenient to our 3 funeral homes and cemetery. Designed for small gatherings, witnessing of cremation, viewing prior to a services and urn receiving, this new facility will offer a smaller venue when needed or desired. We also have a specially designed family care room for those who wish to participate in assisting with the care of the deceased such as dressing, hair and cosmetic care. Our professional, highly trained staff is there for support and to allow families to be part of the process all the way up to the moment of final services to the degree that they are comfortable, and that is allowable by our laws. At Baue, you will find that we will care for your loved one with the utmost dignity, respect, and professionalism. Since 1935, our family owned company believes that excellence in care of the deceased is a sacred trust that families expect of us. From our 100% Satisfaction Guarantee to our Cremation Standards of Excellence, and Cremation Code of Ethics, you will find that no other funeral, cremation or cemetery provider offers you more. Our Center will allow for intimate gatherings and ceremonies for up to 40 people. We offer specialized participatory care of the deceased for burial and cremation. Our “state of the art” Care Center and Crematory is operated by our highly trained, professional, licensed and certified staff, held to the highest standards. Our witnessing room allows families to be present at the beginning of the cremation process if they desire. This provides many families with peace of mind and the trust of knowing their loved one is secure. You will find no other funeral home offers this service to this level of transparency. As the cremation experts, we have designed this facility with families in mind. At our new Center we provide care for the deceased in a way that’s modern by using today’s state of the art technologies and equipment designed to provide excellence in care and a safe working environment for our team members. All of this is offered in a “well appointed” and professionally designed building. 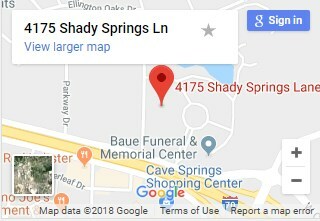 Almost 20 years ago, we were the first funeral home in St. Charles County to have an On-Site Crematory and “True” Cremation Center. Operating our own crematory for this long, we are the cremation experts and you may always be assured that your loved ones are treated with dignity and respect from the moment of transfer into our care. Our new modern crematory was designed to comply with the many environmental requirements, as well as to create efficiencies and protections for the care of the deceased and for our fellow team members. Our Staff is fully licensed and certified as embalmers and cremationists from national governing and certification agencies and organizations. As such, we believe it is important to maintain the highest levels of quality control to ensure the integrity of the cremation process at all times. We invite you to call us and learn more about the care of the deceased, from embalming and cremation, to organ donor programs and anatomical donation. We frequently have educational seminars that will offer options for tours as well. Visit our Community Education page for more information on our upcoming seminars. Also to learn more about our 100% Satisfaction Guarantee, Our Cremation 8 Standards of Excellence and Code of Ethics, please visit this informational page.